On this date in 1915, polar explorer Ernest Shackleton, his ship fatally trapped in Antarctic pack ice, had the ship’s beloved cat shot. The 1915 voyage of Shackleton’s aptly named barquentine Endurance* wrote for the expiring “Heroic Age of Antarctic Exploration” one of its most stouthearted chapters. Struggling through a gale towards Vahsel Bay, the Endurance became icebound within sight of her destination to the peril of Shackleton and 27 other intrepid souls. That is, 27 human souls. “We are twenty-eight men with forty-nine dogs, including Sue’s and Sallie’s five grown-up pups,” Shackleton recorded in his diary for October 29, 1915. By then, the Endurance had been pinned in the ice for the best part of a year, vainly awaiting a favorable wind that would scatter the floes — an exercise in the monotonous perseverance that polar expeditions demanded. Two days before that entry, however, the situation worsened from dire to catastrophic when the weight of the ice began cracking the captive ship’s hull, pouring the frigid Weddell Sea into her hold. “The pressure caused by the congestion in this area of the pack is producing a scene of absolute chaos,” Shackleton wrote. “The ice moves majestically, ireesistibly. Human effort is not futile, but man fights against the giant forces of Nature in a spirit of humility. One has a sense of dependence on the higher Power.” With the ship now impaled upon the floes, human effort and higher Power alike would need to bend every sinew toward mere survival. By the terms of its objective — to cross Antarctica overland to the Ross Sea — Shackleton’s expedition was a failure. As a feat of human spirit, it was his greatest triumph, its fame nowise hindered by expedition photographer Frank Hurley who captured the drama in photographs and film. When a stretch of open sea came within a few hundred yards of the Endurance, Shackleton had his crew try to carve a channel to it with pickaxes. 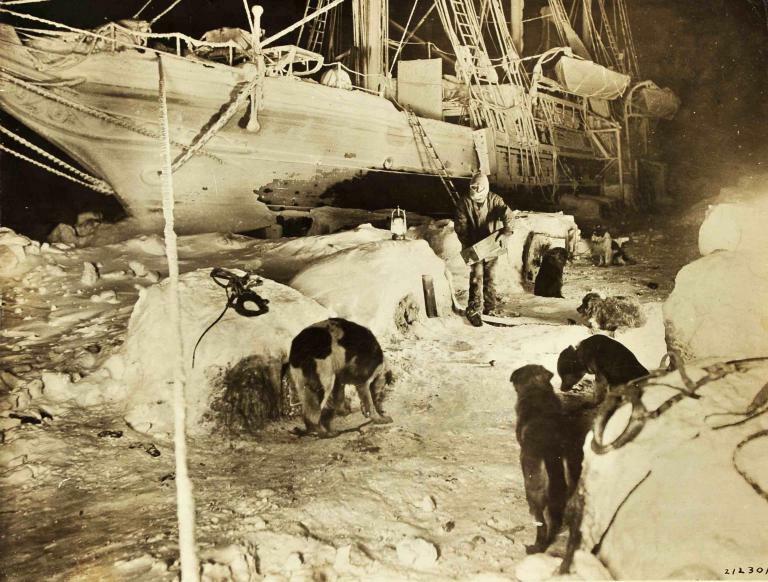 Dogs and men under the hulk of the Endurance in the eerie polar night. Crushed by the ice, the Endurance crumples into the sea. 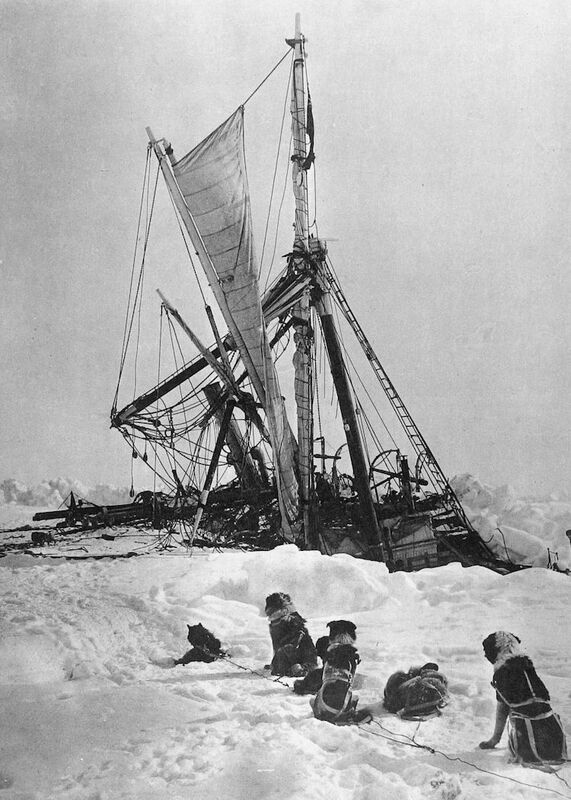 After drifting some weeks more on the floes, Shackleton kept his desperate party together to reach open seas where they navigated the ship’s launches to Elephant Island, a frostbitten desolation where they wintered in a makeshift shelter and hunted seals and penguins. Meanwhile, Shackleton took a few crew members in a small boat hundreds of miles onward to inhabited stations South Georgia Island where they were finally able to muster a rescue mission. Twenty-five men of the 28 survived the harrowing two-year expedition. Map of the Shackleton expedition’s progress. 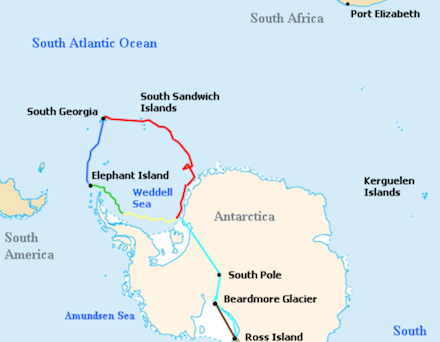 The light blue line represents the party’s intended course across the continent; instead, the sea voyage (in red) became trapped in the ice and drifted (in yellow) across the Weddell Sea before taking to the launches to escape (in green) to Elephant Island. (cc) image by Finetooth, Like tears in rain. Those who were not men did not fare as well. 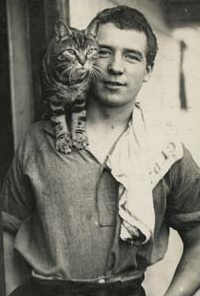 In addition to the Endurance‘s many sled dogs, 40-year-old Scots carpenter Harry “Chippy” McNish (variously spelled MacNish or McNeish) had taken on board a charismatic little tabby for the ship’s cat. “Mrs. Chippy” — the name stuck even after the crew realized that “she” was really a male — quickly became beloved of the crew, and especially of Chippy McNish. But Mrs. Chippy was not an asset for the survival epic that the Endurance crew was destined to author. Under the duress of the ice floes, Shackleton on October 29, 1915 did what had to be done and ordered the least utile animals put to death to preserve resources for the others. 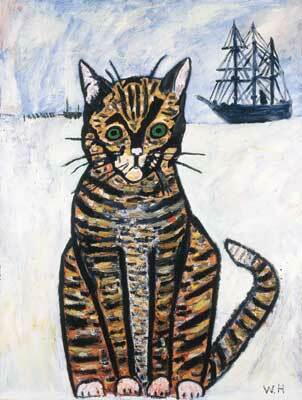 This afternoon Sallie’s three youngest pups, Sue’s Sirius, and Mrs. Chippy, the carpenter’s cat, have to be shot. We could not undertake the maintenance of weaklings under the new conditions. Macklin, Crean, and the carpenter [McNish] seemed to feel the loss of their friends rather badly. The poor doomed cat that succumbed on this date in 1915 to the might of the Antarctic and the hard pragmatism of Ernest Shackleton has been tugging heartstrings ever since. 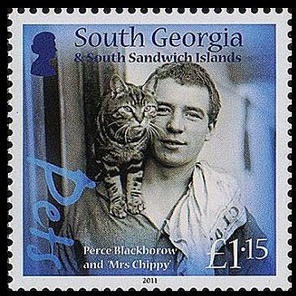 McNish’s grave in New Zealand was decorated in 2004 with a bronze statue of Mrs. Chippy; the cat has also made appearances on postage stamps, in opera, headlining books, and in art. n.b. the legendary help-wanted ad referenced by the title of this post — “Men wanted for hazardous journey. Low wages, bitter cold, long hours of complete darkness. Safe return doubtful. Honour and recognition in event of success.” — is most likely an actual legend. 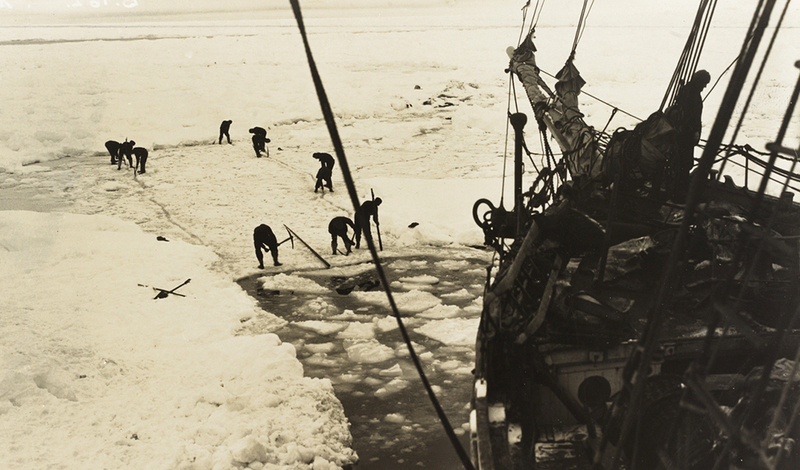 Numberless Shackleton enthusiasts have plumbed many a musty archive in pursuit of the original copy, without success.